Do We Eat Healthy Foods Everyday? The answer is no. We don't. Simply because we are human, and we can't resist the temptation of eating unhealthy foods which are undeniably delicious! 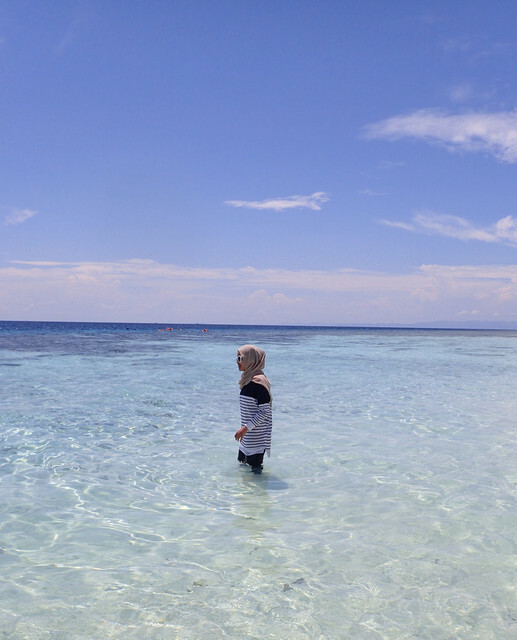 and of course, looks appealing to our sight. Basically, delicious yet unhealthy foods every now and then are one of my guilty pleasures. I don't like it and like it anyway. The reason was because, I knew what I've eaten and how does impacted my body weight and health in general. So, as a normal human being, it is impossible to eat healthy foods in total. But, I'll make sure in a week, I balance my nutrition because, when you really dive into healthy eating foods and obsess about it, you have the tendency to develop Othrorexia. In case if you don't know what does that means, please click here to read. I don't want to sink in the idea of healthy eating, that's why I introduced this program, in a package. Honestly, I will liberalize my food selections whenever I'm eating outside. Eating out by means will require you to spend some amount of money, and yet you want a deliciously served foods and that's where the term "Cheat Day" started. The golden key: just eat in moderation and be mindful of your portion. 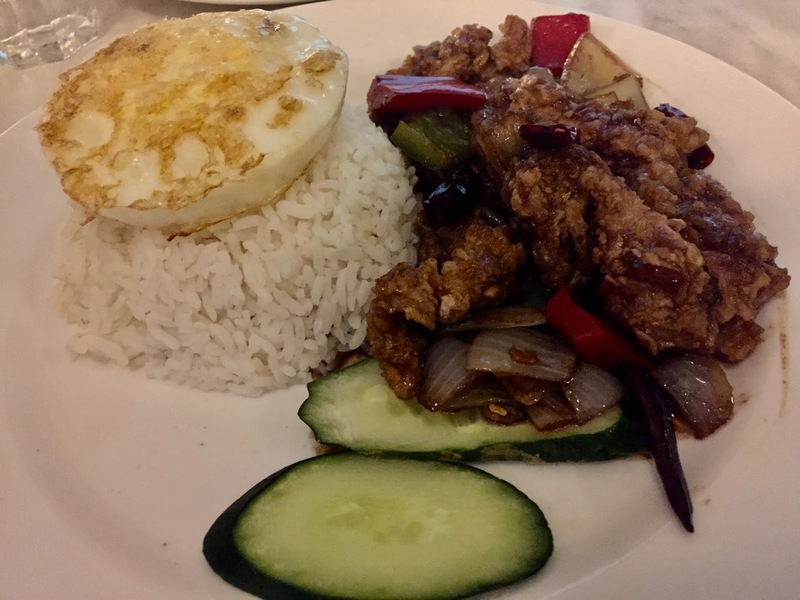 In this blog post, I am going to bring you to some of the menu I ate when I was outside. The idea of having foods as your appetizer or dessert show, at least how you care about your fiber intake. It's not trying to force myself to be a healthy eater, but, fruits are honestly my kind of snacks and I really like eating fruits. If you look at this photo of the fruit consumption that I took, the amount of calories is ~150- 200 kcal. 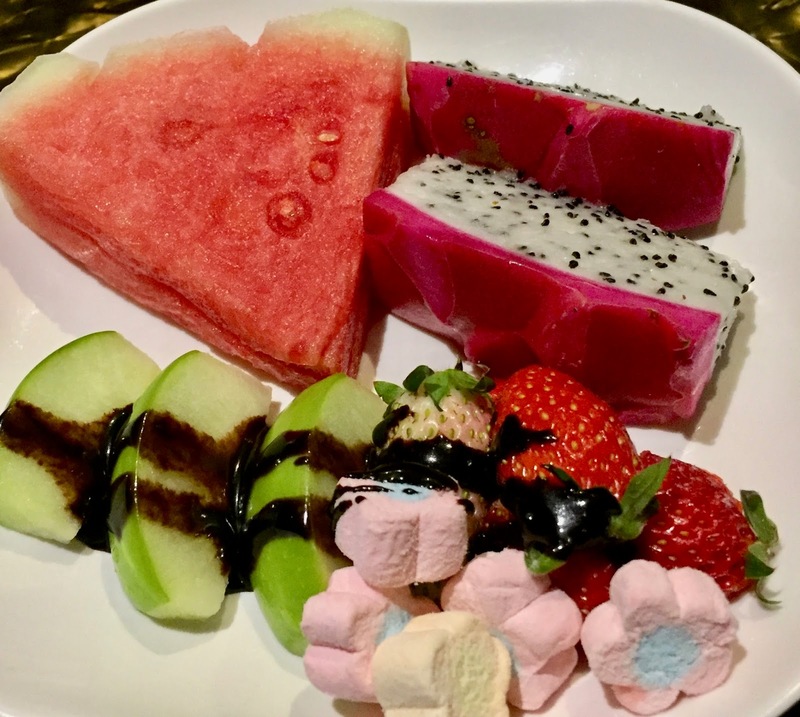 This is considered as one of the healthy snacking when we eat outside, chocs poured onto the plate is to make up the taste and to blend the sourness from the strawberry, and of course to make it even looks appealing. 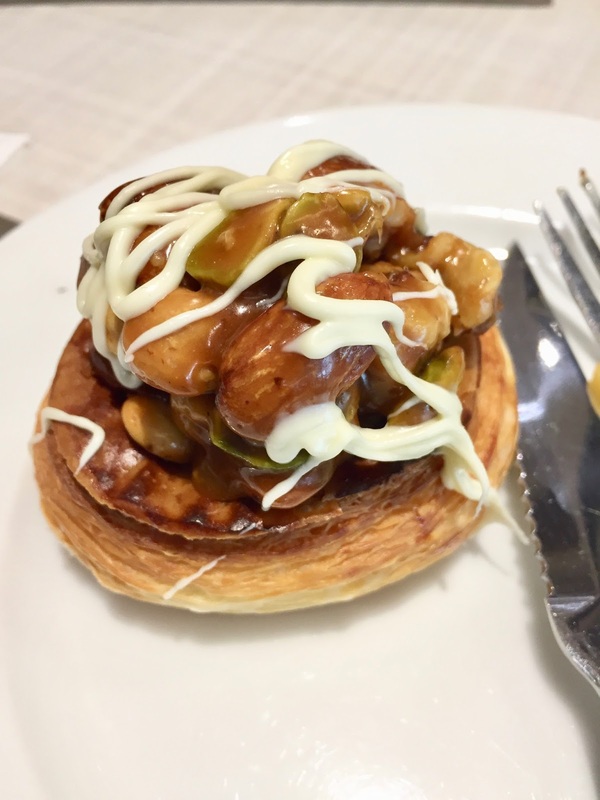 Pastries & Cakes are always having a place to fulfill my stomach, and of course pastries are always on the top of the list. Now, if you look at the main ingredients of the pastry, it's a dough of a flour, water and shortening, eggs, sugar combination and of course sugar. We treat this as a dessert or some snacking for your evening snacks or probably morning tea?. Many people think, having a dessert will add up their calorie intake and the answer will absolutely yesssss! But come on, there is a reason why, the meal planner came up with the word "Dessert". In which it means, to clear the table and the meal! In fact, people who eat at irregular intervals, the desire for desserts may result from a large burst of insulin after a heavy meal! The sudden "jump" in insulin causes a rapid decrease in blood sugar levels and thus increases the desire for sweets! However, although dessert is also important for your body. Frequent consumption of sweets is also harmful for your body. What I can suggest if you have a sweet tooth, is to avoid eating desserts which contain large amounts of sugar and fat. As it will adversely affects your health, for example - eating cake with cream/ chocolate with caramels /Starbuck Drink, with cream /with sugar with caramel/ waffels with sweet topping and of course cakes. The golden rule is just to take it in moderation. 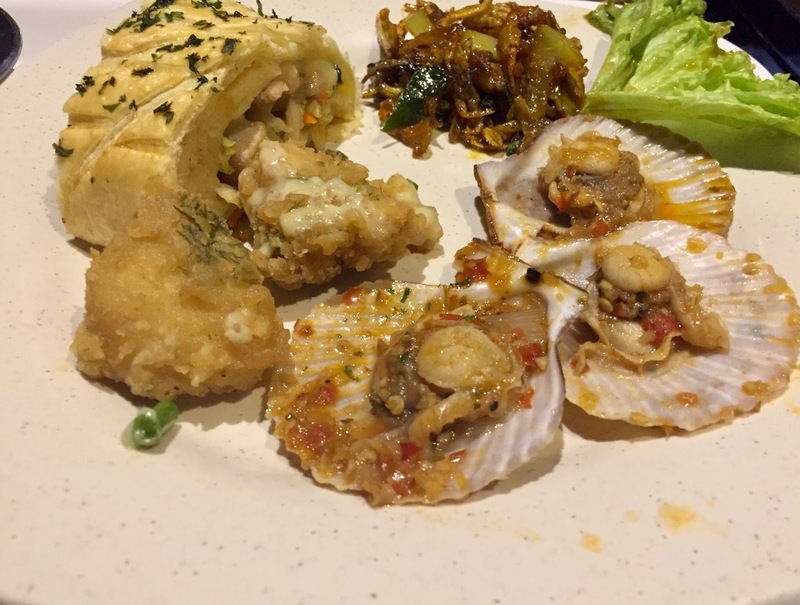 As a Malaysian who have a diverse culture, high fat and high calories food are hard to resist. 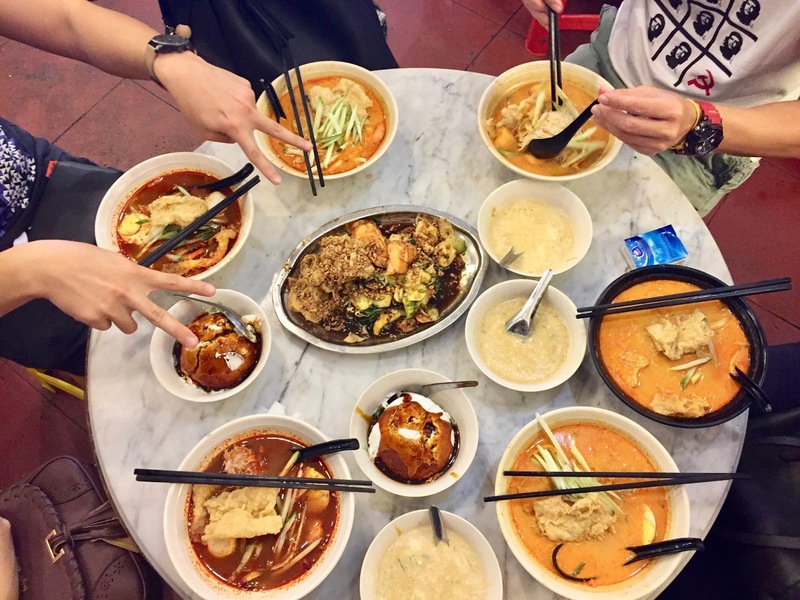 Example: Our Curry Noodles and even the Asam Laksa. But, saying no to this Malaysian Food Herigate is a total waste, what you can do just eat half of the portion or else, finish the carbs source (noodles) and have a sip of the curry! It's all depends on you! And a BIG YES to this Jalapeno Cheese Bagel!, Jalapeno is also known as "Fat Chilli Pepper" and is a pod type of Capsicum annum. 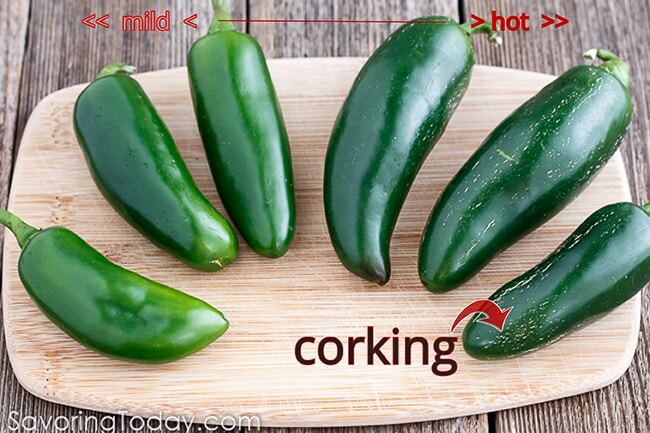 Do you know, Jalapeno is also known for it's hotness level. The number of scars on the pepper which appeared as a small brown lines, called 'corking' shows a correlation with the heat level! Apparently, this bagel is hot! 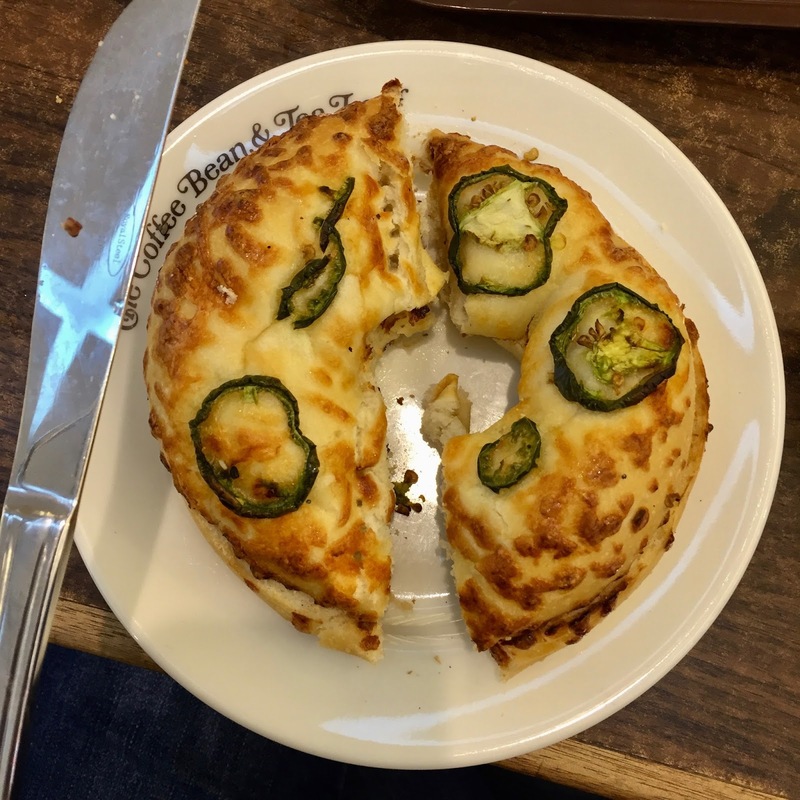 The calories for Jalapeno Cheese Bagel is approximately around 150kcal. This should not be a problem for those who wants to keep their calories on count. One of the secrets if you want to have a food fiest is just take a small amount of each. Bare in mind, protein kind of foods will help to fulfill your satiety level, and carbohydrate will make you feel full. Go with a small portion of carbo and protein respectively, if you want to taste all types of foods served. Experience suggested, Sushi is one of the foods that can increase your calories intake without you knowing. Usually, I will recommend those who wants to increase their body weight to have Sushi in a recommended portion. 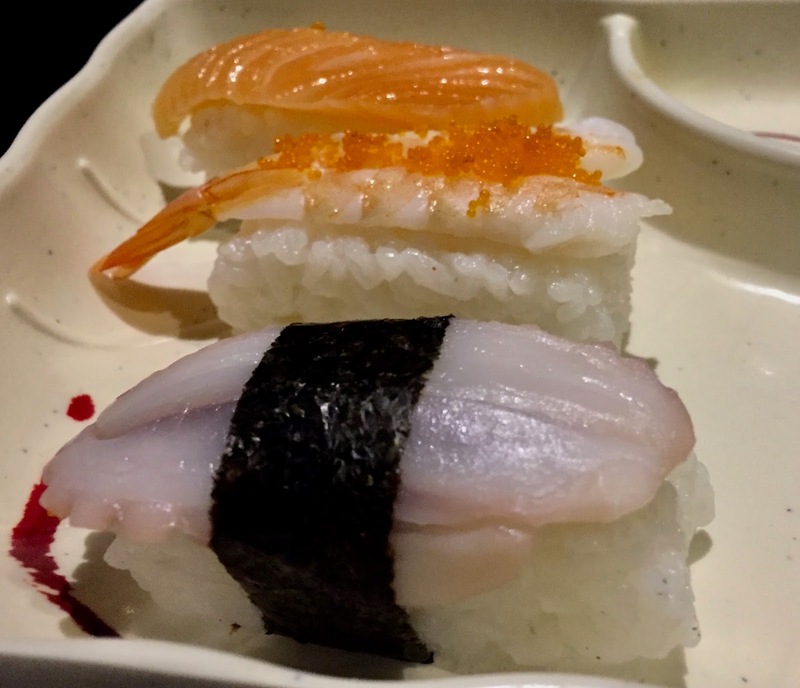 As it plays with your psychology, it looks small and cute, but you never know, how big is the calorie contribution it brings, especially when you sit next to the Sushi Tray. However, we can't deny that, Sushi is also one of the healthy meals selection! Just go for it, but be mindful of the portion intake!. This serving is for 1 pax. 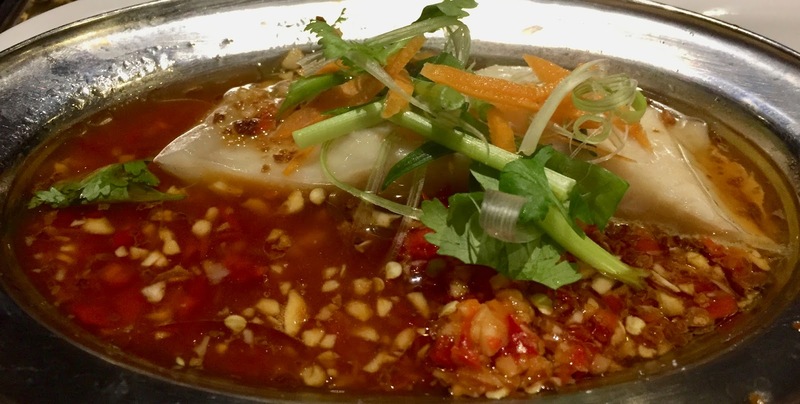 What makes this Steam Fish is a guilty pleasure for some people, especially Chinese population is although it is considered for healthy cooking method, but look at that gravy! High Sodium food. So, beware of those who have hypertension problem or if you are at risk. Having steam fish is considered good, but don't overtake the gravy! 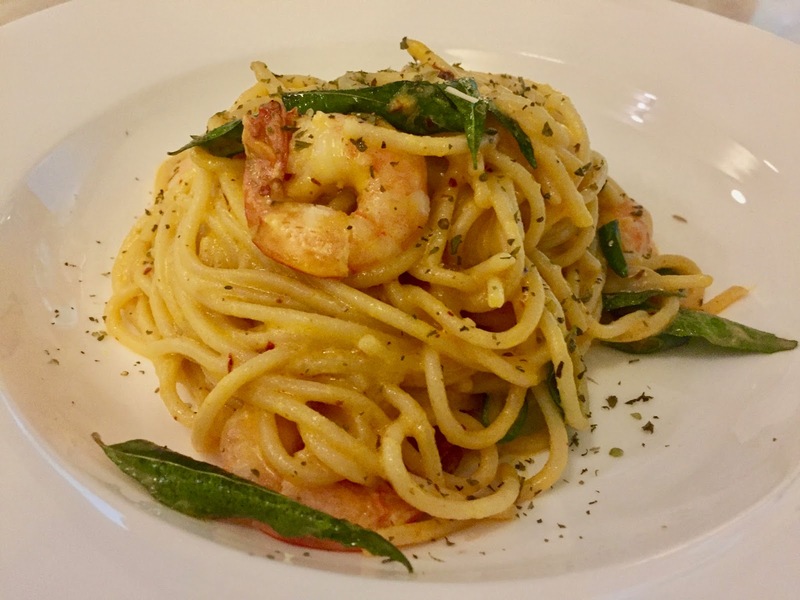 Creamy salted egg pasta! For this kind of food, it is obviously a high calorie density, so, this food ordered was meant to be tasted only. A little bit review on this meal; this pasta is suitable to taste only. The more you eat, the more you feel queasy. For those who does not eat eggs like me, I recommend you not to order this. This is one of my favorite and recommended meal whenever I had my meals in Tappers. This meal is completed with carbohydrates, protein (of course fat) and a little amount of fibers (cucumbers). Hence, this kind of food should not be a problem for those who wants to eat healthy!